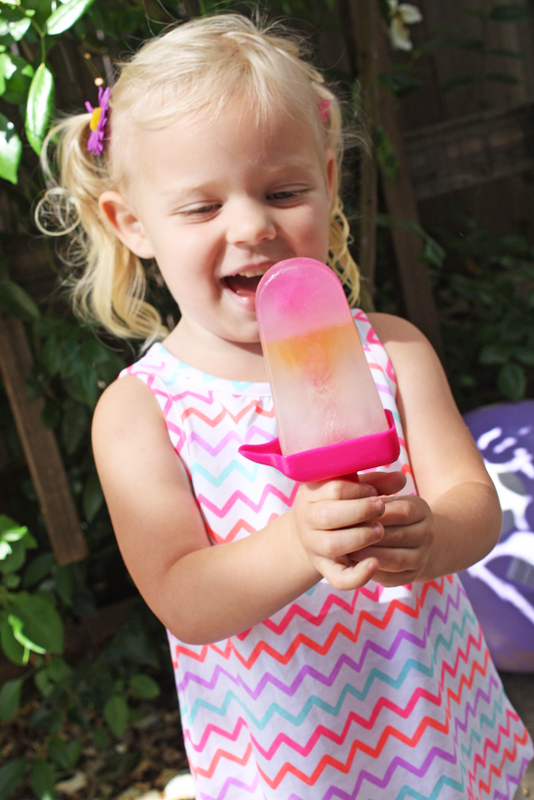 To cool down this summer, how about making these rainbow Vitamin Water popsicles using this simple tutorial from Shauna at Ella and Annie Magazine! I'm seriously ready to eat one now! Do your kids love Vitamin Water? Mine do! So I thought I would make some delicious rainbow popsicles using their favorite Vitamin Water flavors. 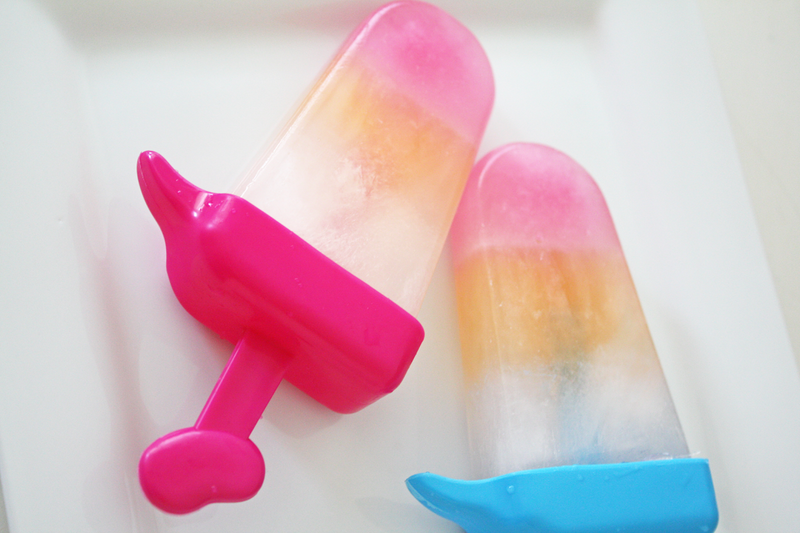 Making homemade popsicles is a great way to reduce the sugar, dyes, and additives you find in many commercial popsicles. 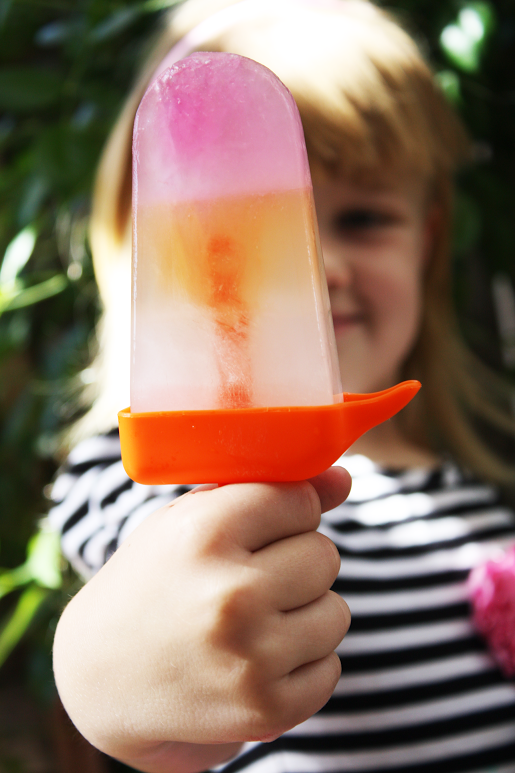 You can make these refreshing summer popsicles at home and even save a few bucks in the process! 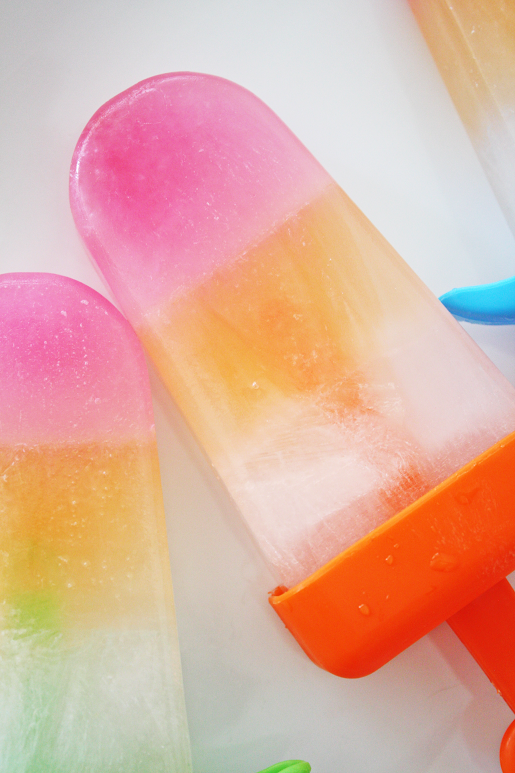 Making these popsicles is a three-step process. I placed the darkest color at the top and worked my way down to the lightest, freezing each layer separately. The layers took about an hour each to freeze. 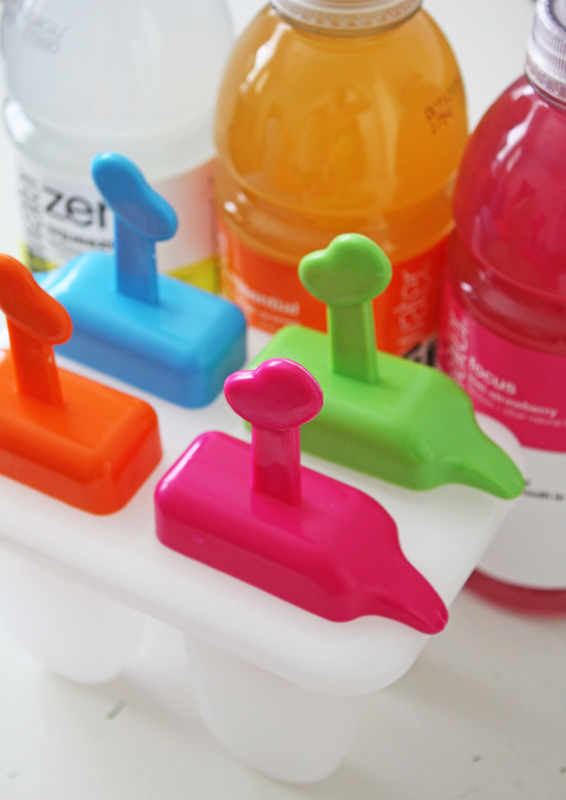 Fill 1⁄3 of the popsicle mold with the darkest Vitamin Water. For me that was Focus. Place in freezer until the top freezes over. Next fill another 1⁄3 of the popsicle mold with the second darkest flavor. For me that was Essential. Repeat freezing process. Lastly, fill with the lightest flavor. For me that was Squeezed. 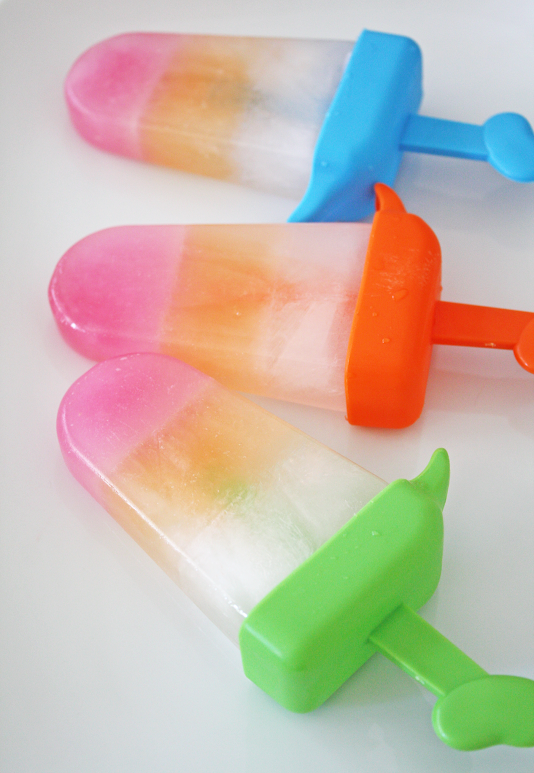 Place the popsicle stick inside each one and freeze overnight. 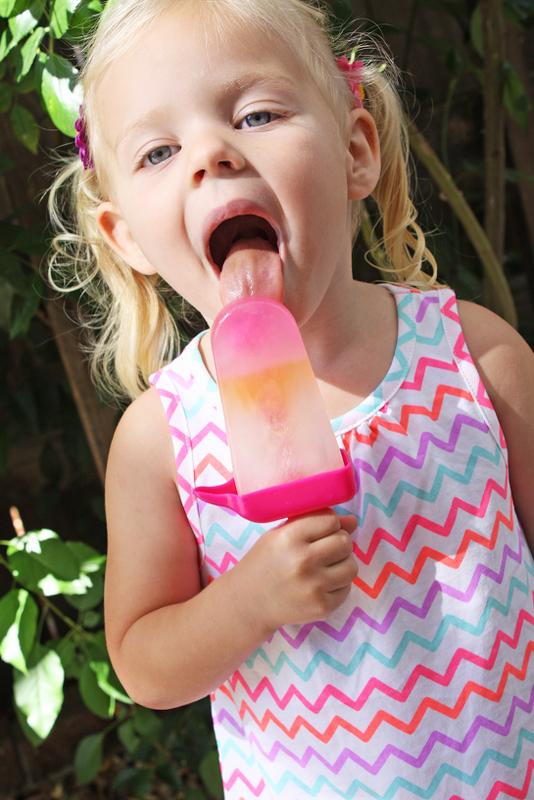 My kids LOVED the taste and kept asking me to make more of the rainbow pops! To see more of Shauna's amazing work, check out Ella and Annie Magazine and visit them on Facebook, Twitter, Instagram, and Pinterest.